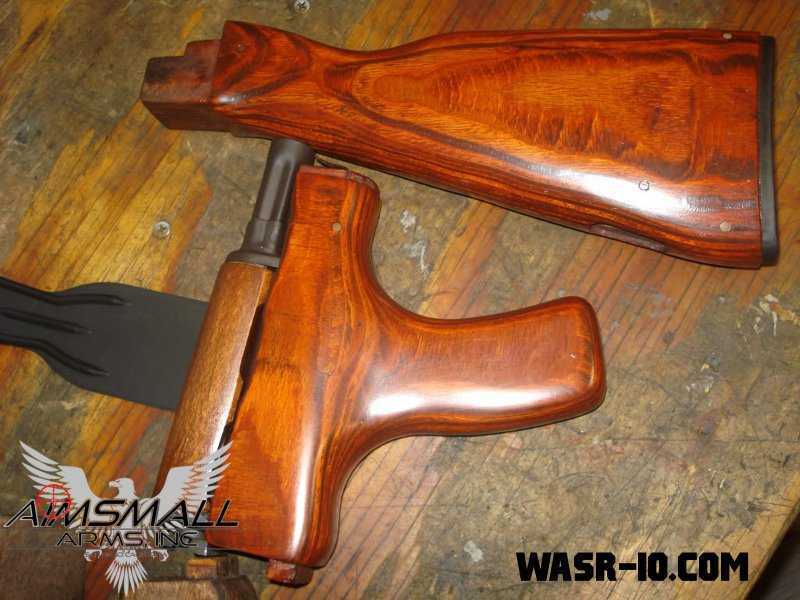 While many AK owners sooner or later give in to their tactification urges, there is a lot to be said for the menacing beauty that a nicely finished wood furniture AK offers. Unfortunately most AK's you buy in the local gun store can not be described as "nicely finished". 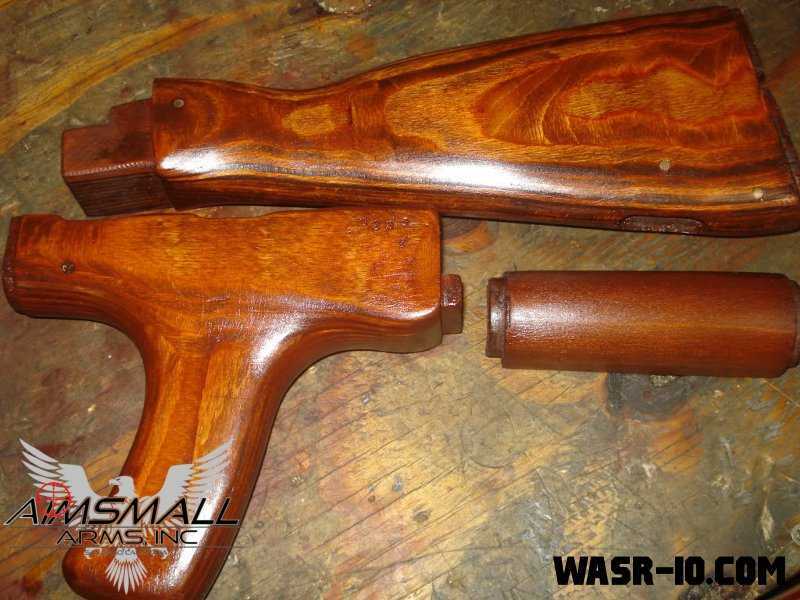 For this reason we have been planning to do a tutorial on how to refinish original AK wood furniture for a while now. 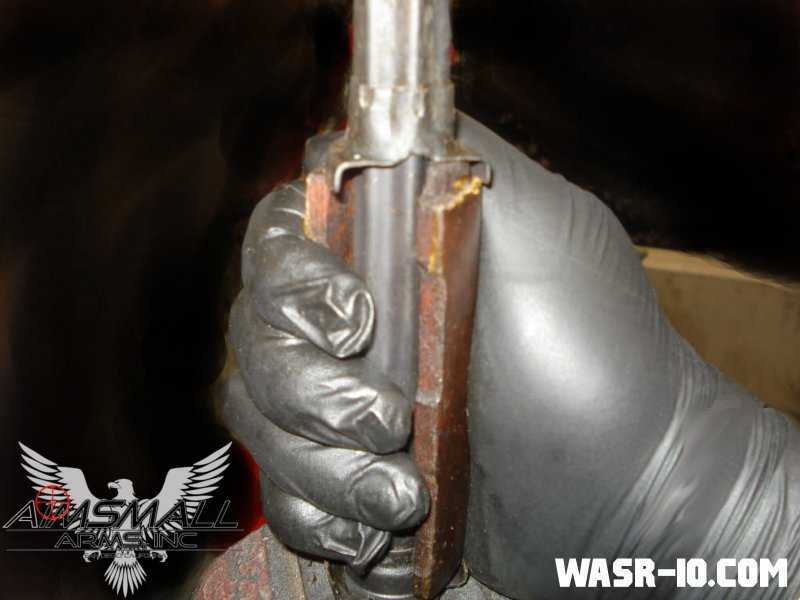 The AK in the article is not a WASR-10, but refinishing the a WASR works the same way of course. 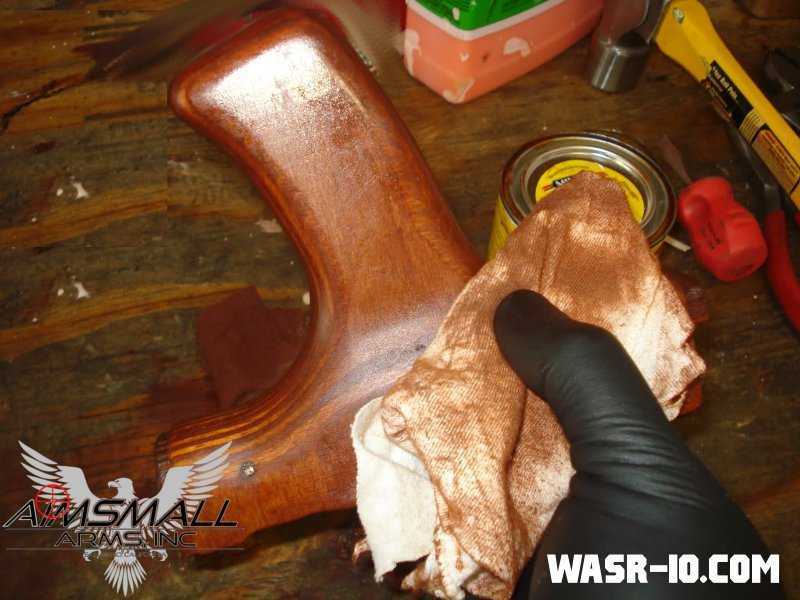 While doing what is now known as "research" we came across a series of very detailed forum posts on this topic by AIMSMALL Arms Inc who generously gave us permission to rework his original material into this "how to" article on how to refinish the wood furniture on the AK-47". 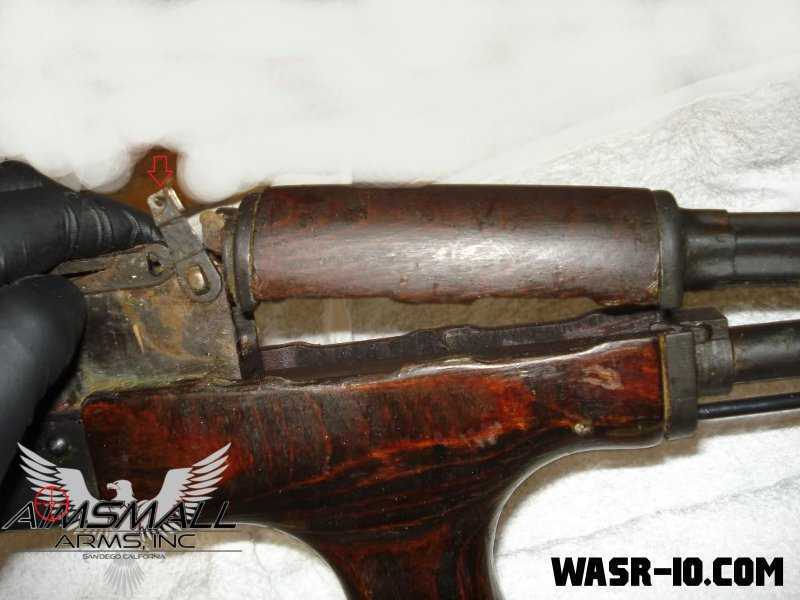 AIMSMALL Arms Inc also made all (45!) photos that are used as illustrations in this article. 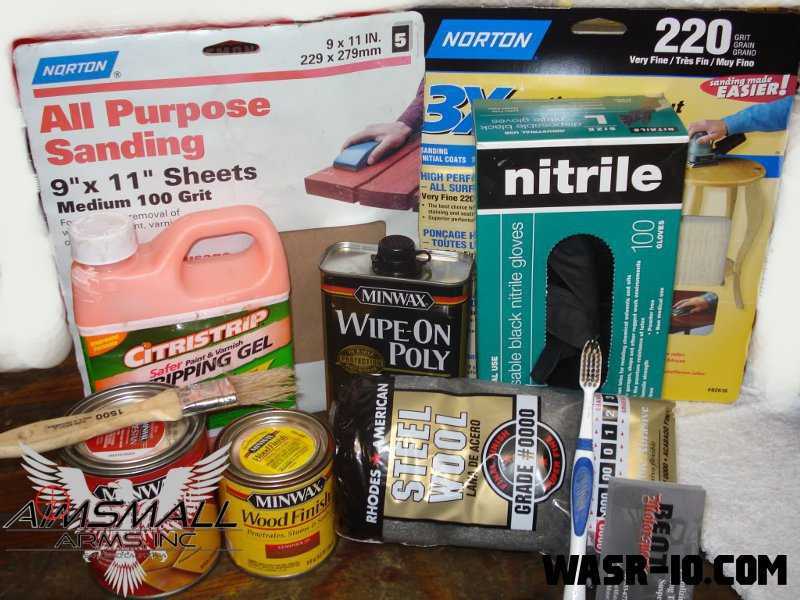 Figure 1: First of all make a supply run and pick up these items. 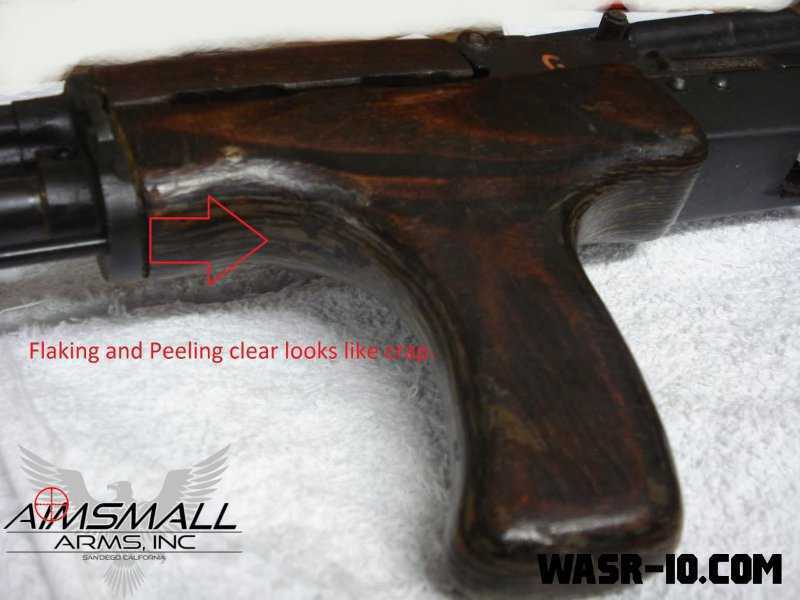 Figure 2: Why are we going to refinish the AK again? Because the old finish looks like crap that's why! Figure 3: Lift the lever on the gas block up to remove the upper forearm. 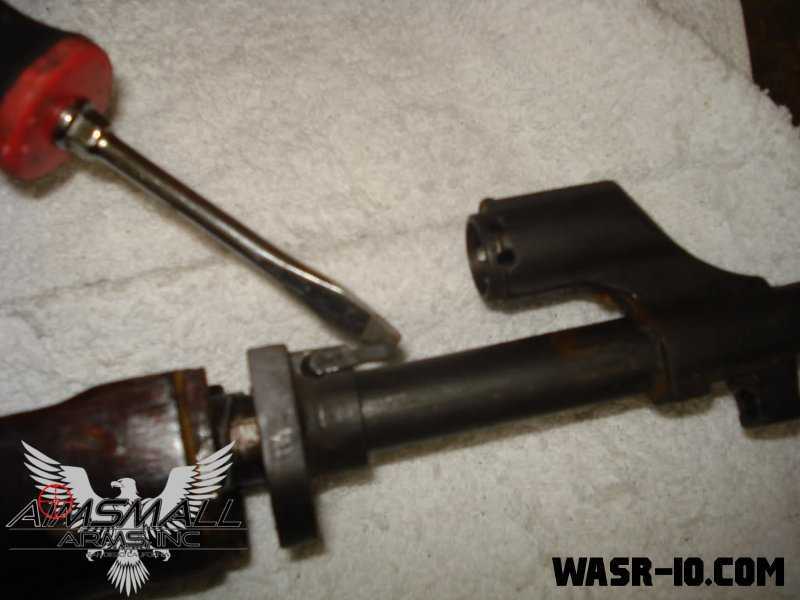 Figure 4: Lift the latch to unlock the lower hand guard retainer. 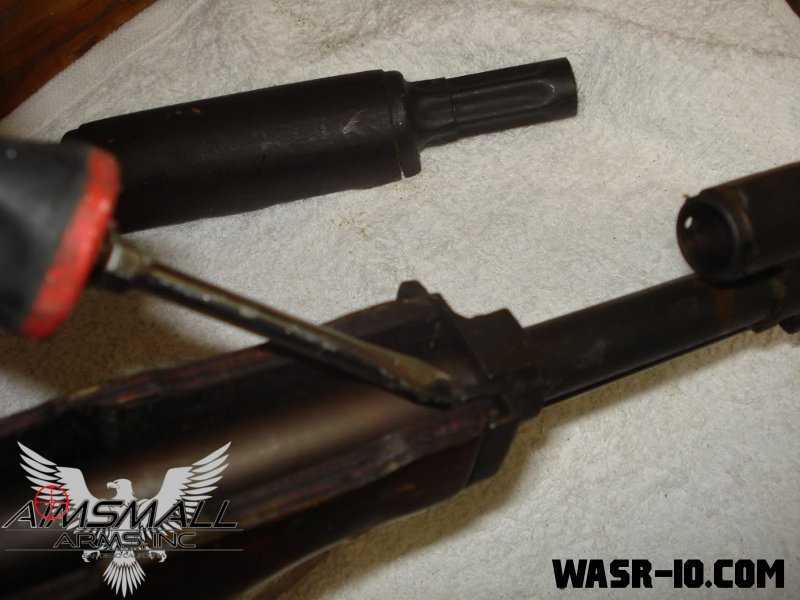 Figure 5: With the retainer out of the way you can slide the lower hand guard right of. 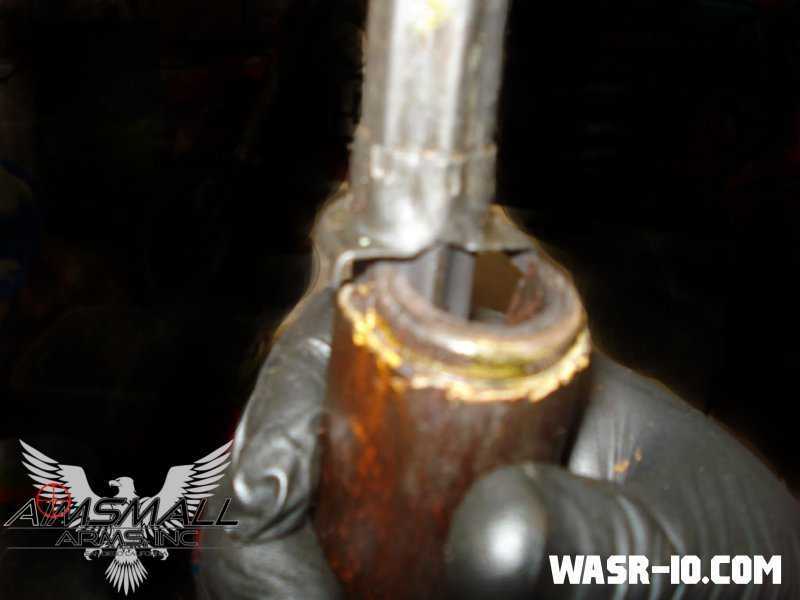 Figure 6: Slide the grip or hand guard forward and pull it down to remove. 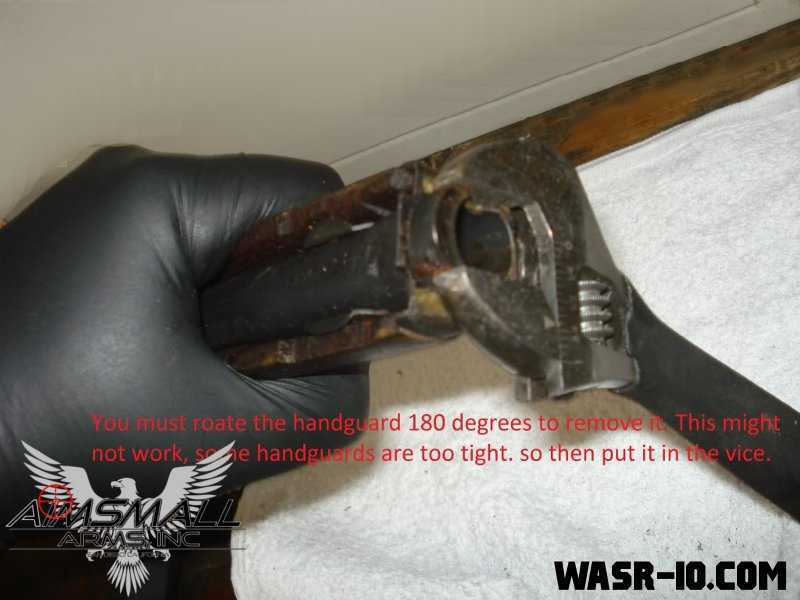 Figure 7: Rotate the upper forearm 180 degrees around the gas tube to remove it. Figure 8: Rotating... If this does not work use a vice. Figure 9: Rotating... And off we go! Figure 11: And wait according to instructions on the packaging. 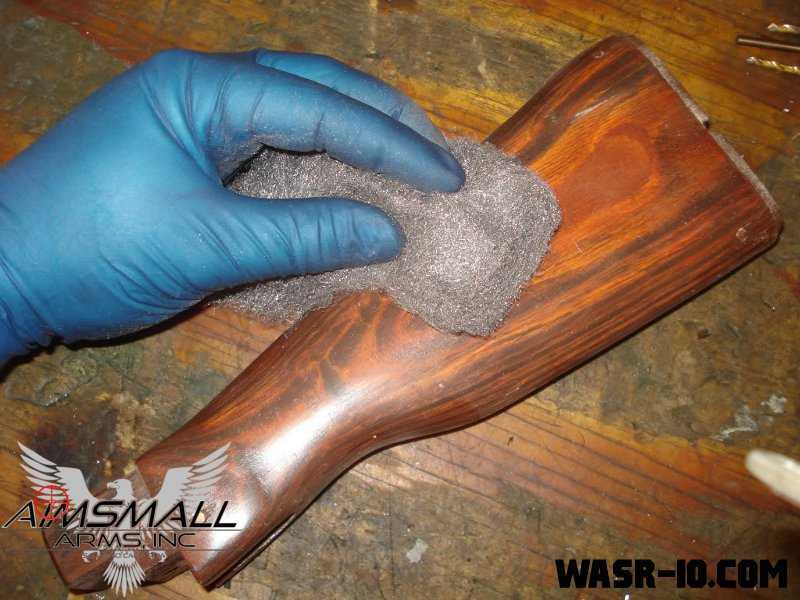 Figure 13: Now use a thick, glossy business card to scrape off the strepper and varnish residue. Be gentile as you don't want to draw lines in the underlying stain. 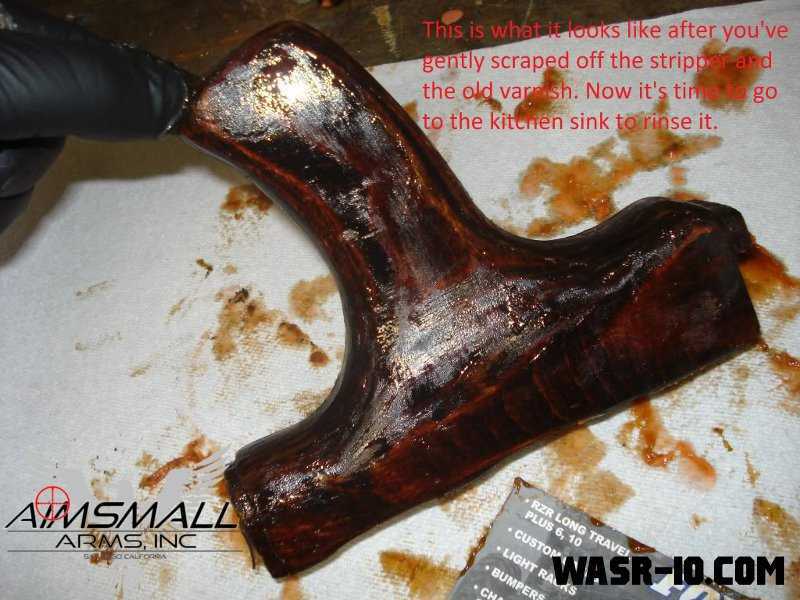 Figure 14: After scraping it looks like this; most of the varnish is gone. 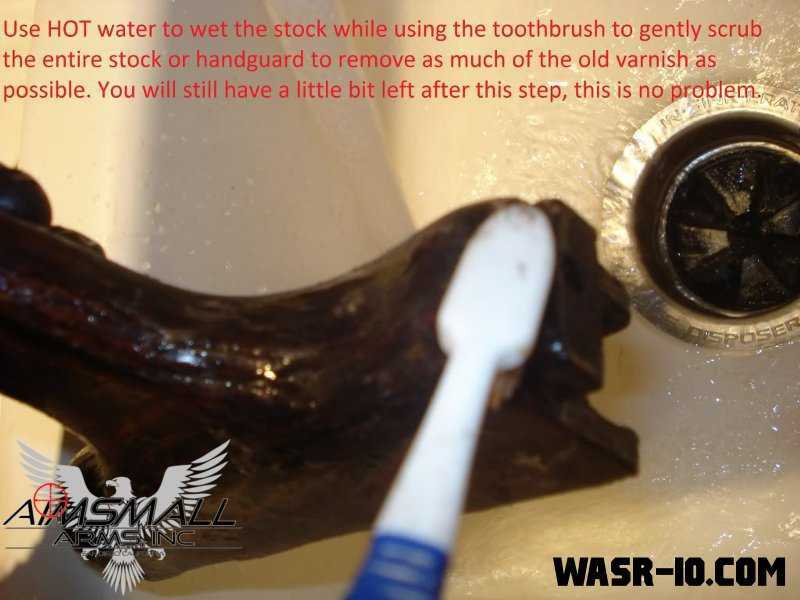 Figure 15: Rinse with hot water and use the toothbrush to remove any remaining varnish of. GENTLY, like the dental assistant keeps telling you. Figure 18: And repeat some more. Figure 19: Now let everything dry for a while. Figure 20: And repeat the stripping. 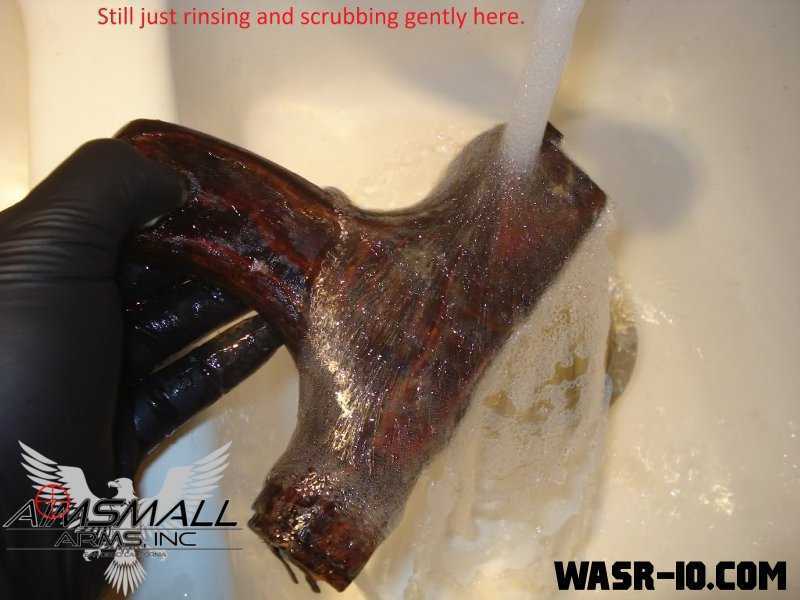 After this 30-40 minute "soak period" AIMSMALL recommends scrubbing the entire surface with the toothbrush to loosen up and remove any remaining varnish that didn't come off the first time around. THEN rinse with HOT water as before and the stock should be completely clean. If you have any dents in the wood this is the point where you would steam them out. Steaming is a simple process, you will need a bucket of water, a nice, clean, cotton rag (AIMSMALL used the ones from Costco), and an iron. Just completely soak the rag in the water and then fold the rag in half so you have two layers and set it right over the dent, press the hot iron onto the rag and hold it there for 20 seconds or so. Check your progress and repeat as needed untill all dents are lifted out. 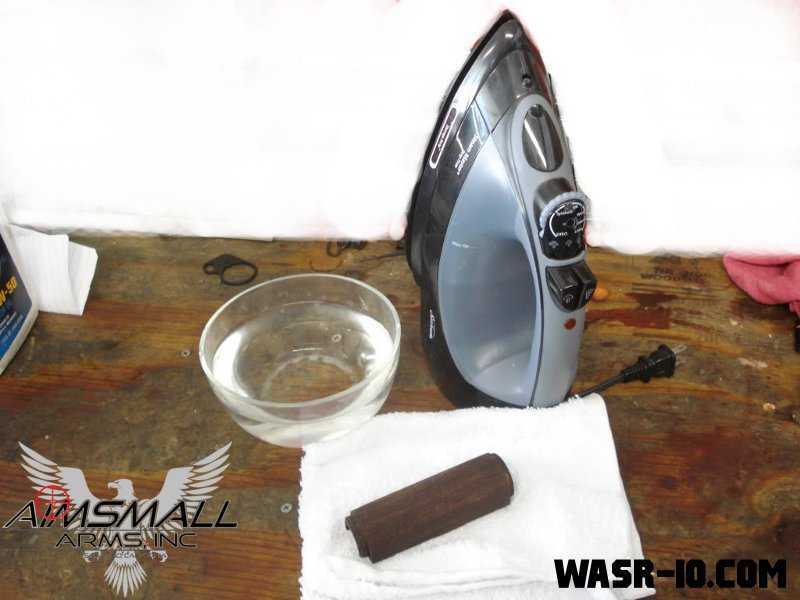 Remember to keep the rag wet so it will steam every time and set the iron to the highest setting too. Allow to dry for 24 hours after this step before sanding. Here's some pics of the process. Figure 22: Hard to see, but these are the dents we are trying to remove. 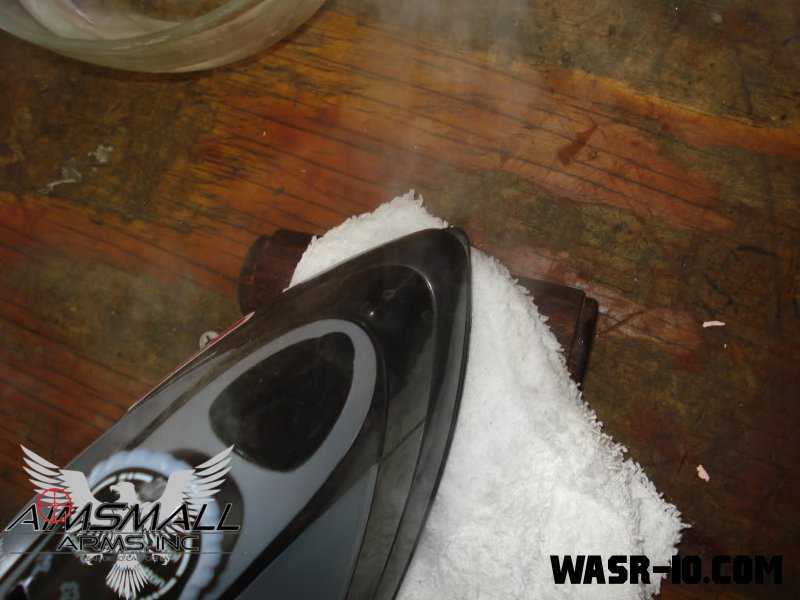 Figure 23: Press the hot iron onto the rag and hold it there for 20 seconds or so. Keep rag wet and repeat. Figure 24: And gone are the dents. 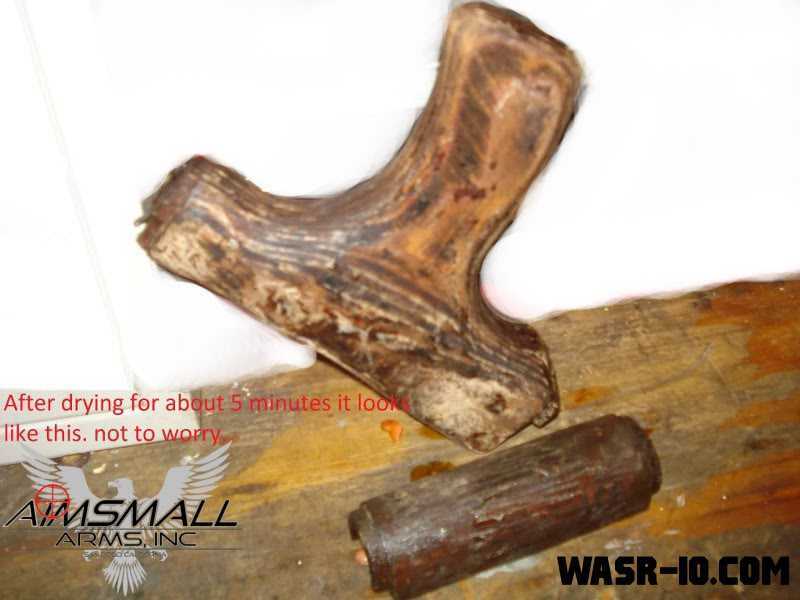 Figure 25: Here it is after it has completely dried for 24 hours, it has not yet been sanded at this point. 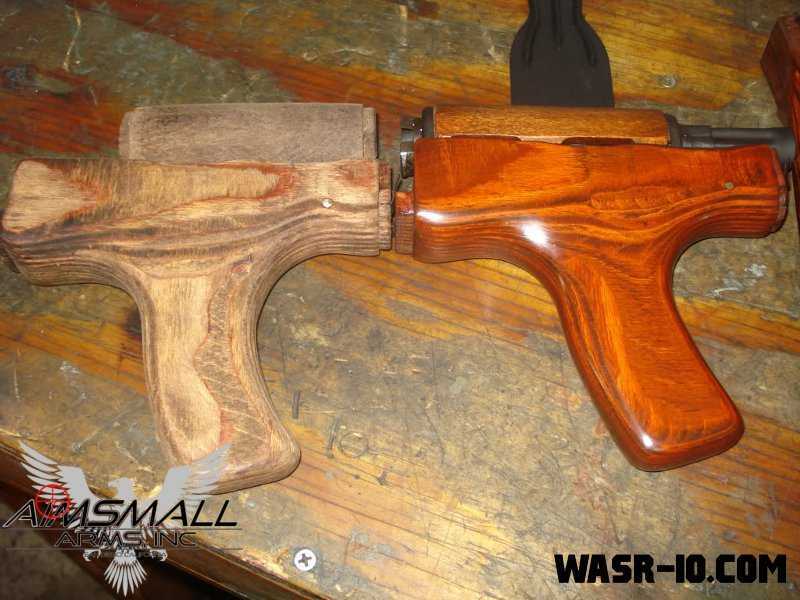 Figure 26: Here's a side by side with the first one AIMSMALL refinished first. Figure 27: And another preview of what you are after! 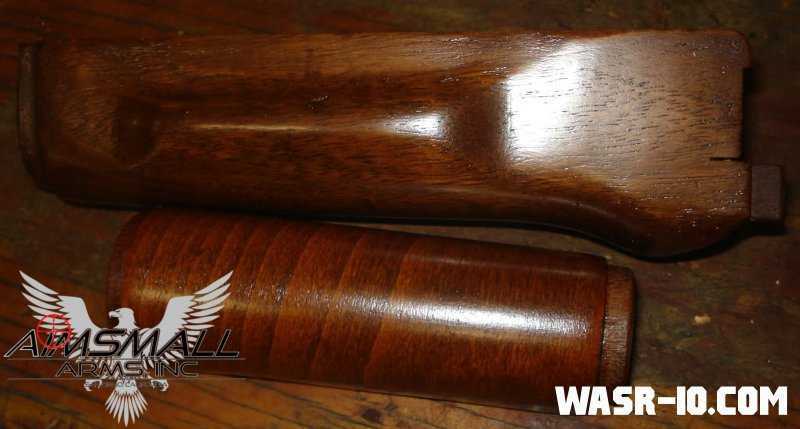 Sand the entire stock going with the grain with 100 or 120 grit being very careful not to remove much wood near any edges where metal buts up against the wood and also near the vents of the handguards. If you aren't careful you could cause the wood to not line up nicely with the metal parts and it will be noticeable. 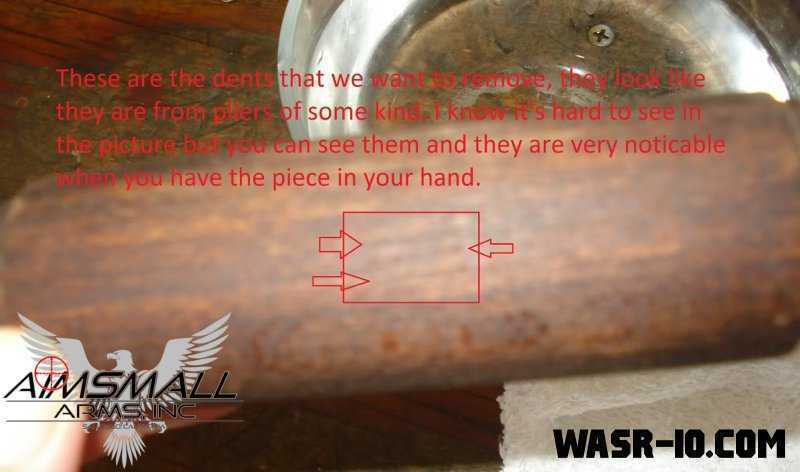 If you are going to refinish the metal parts you may want to put them back on for the sanding stages but beware, they will need to be refinished if you do this. 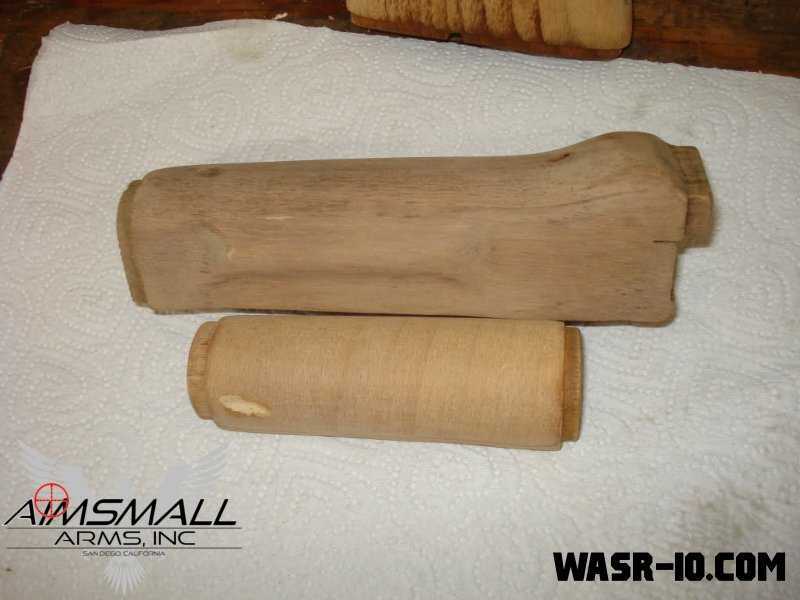 Figure 28: Gently sand the entire stock with increasing grit (100-->220) following the grain of the wood. 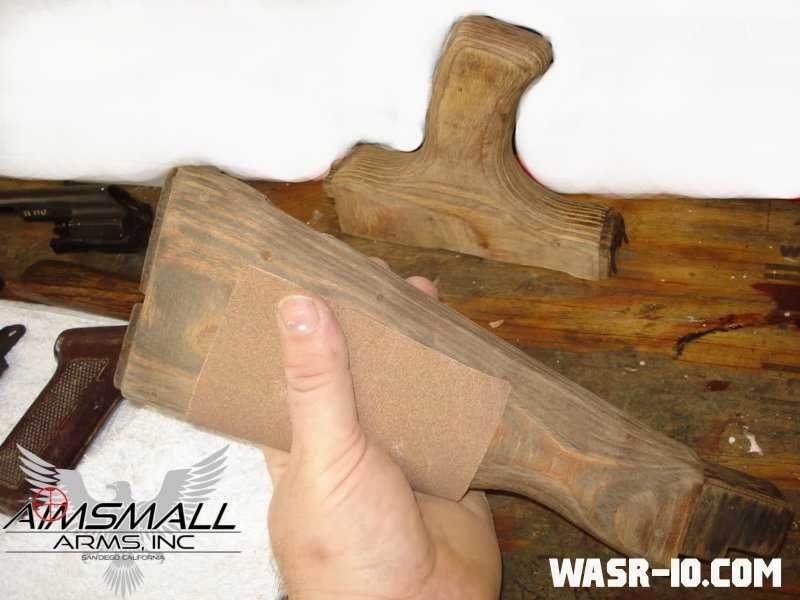 After sanding the entire stock with 100 to where the colors, grains and imperfections are how you want them switch to 220 grit and again sand the entire stock going with the grain as much as possible. If you try to just sand problem areas with 100 and then the entire stock with 220 it will not look as good when your done. 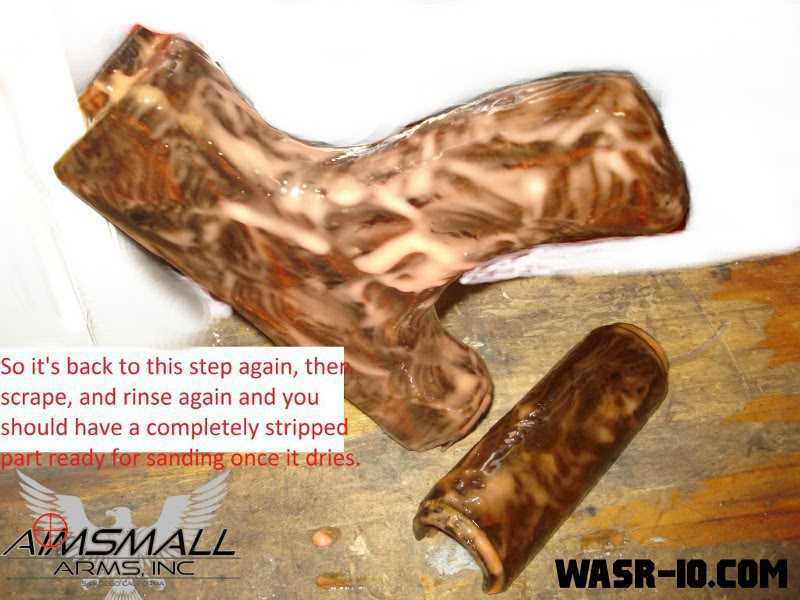 Once sanding is done remove all dust with a clean rag or compressed air. Figure 29: And this is what it looks like when it's cleaned up. Let the Staining (finally) begin! 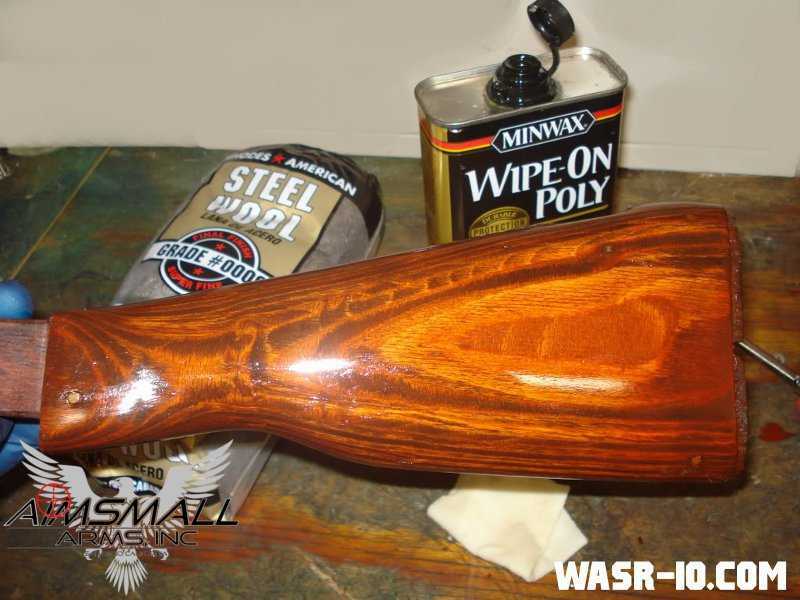 Next step is to pre treat the wood for staining, for this AIMSMALL used the Minwax wood conditioner. The idea is to make the wood absorb the stain more evenly. 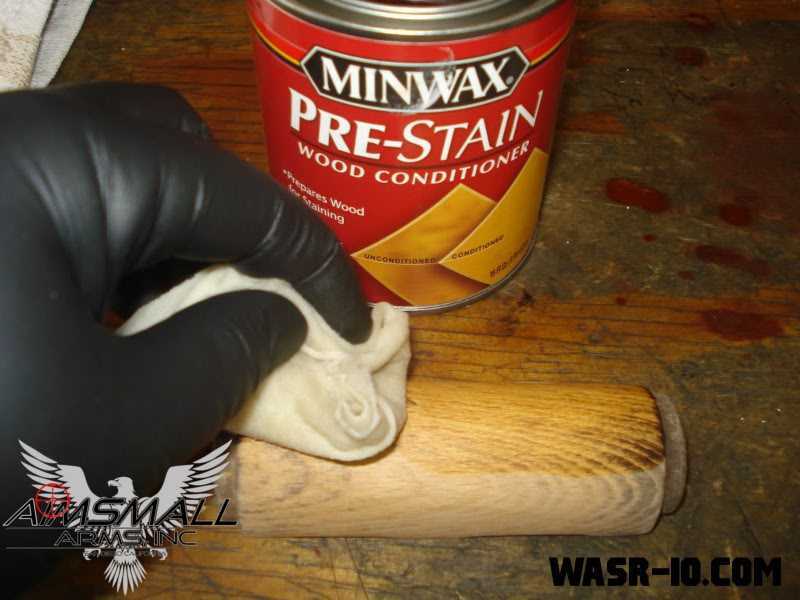 Apply with a strip of an old t shirt and let soak for at least 15-20 minutes and then apply the first coat of stain within 2 hours (directions on the can). 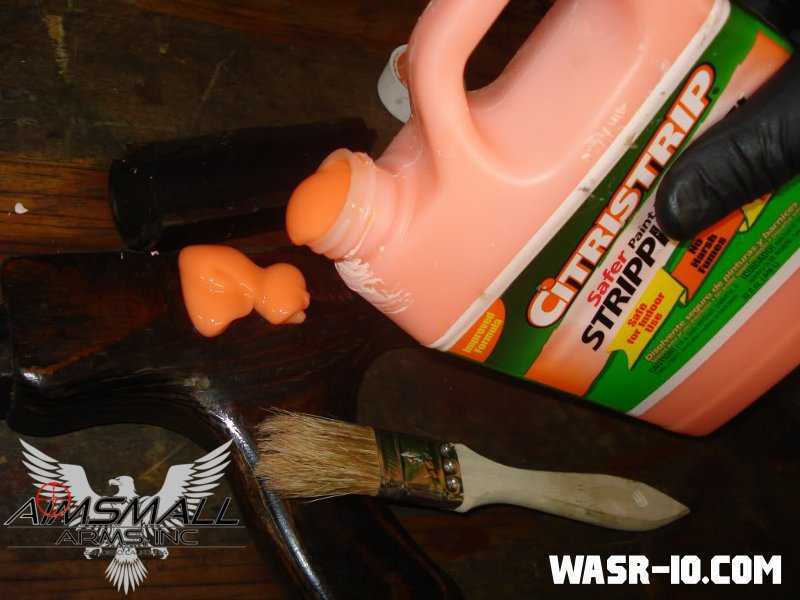 Figure 30: Apply the pre-stain for better absorption of the stain. 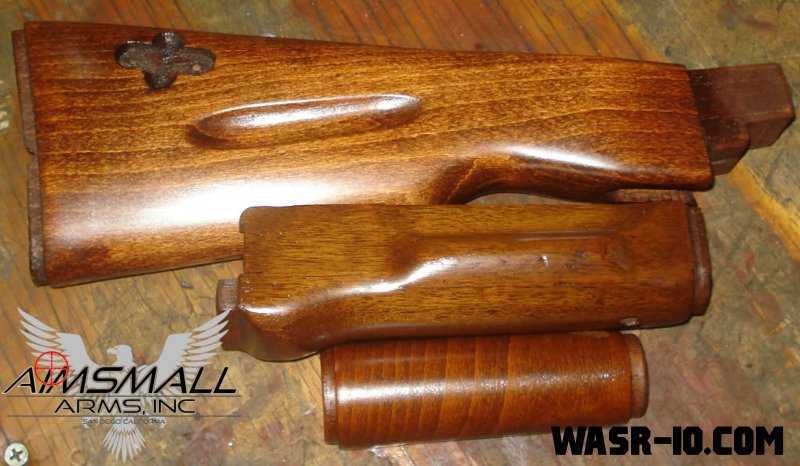 For the stain AIMSMALL used minwax Gunstock #231 but there are lots of different shades available. 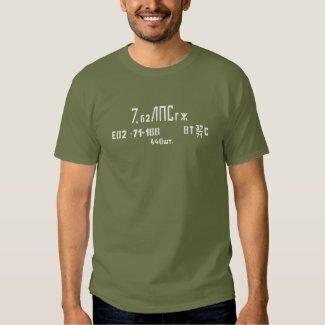 He used another strip of the t-shirt to apply a nice heavy coat of stain to the entire stock. 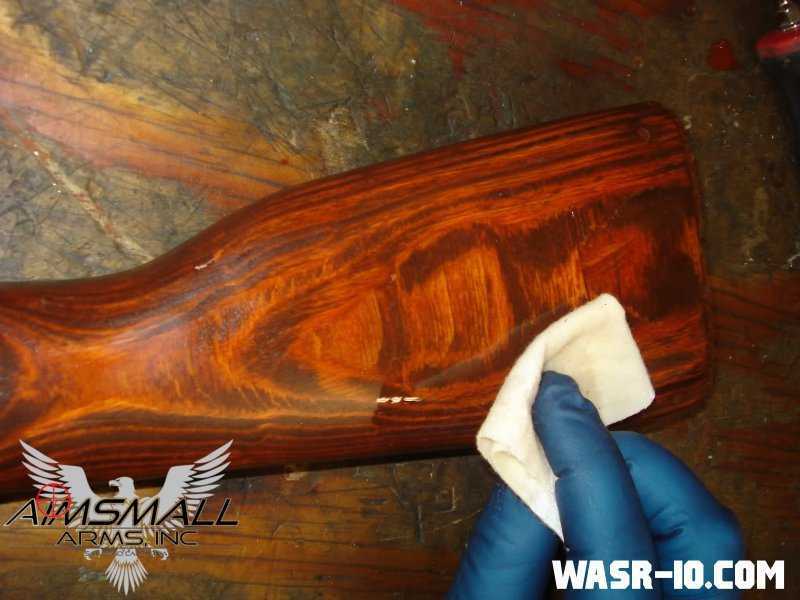 Figure 31: Use a piece of cloth to wipe the stain on the AK's furniture. Figure 32: Apply the stain evenly using the cloth. 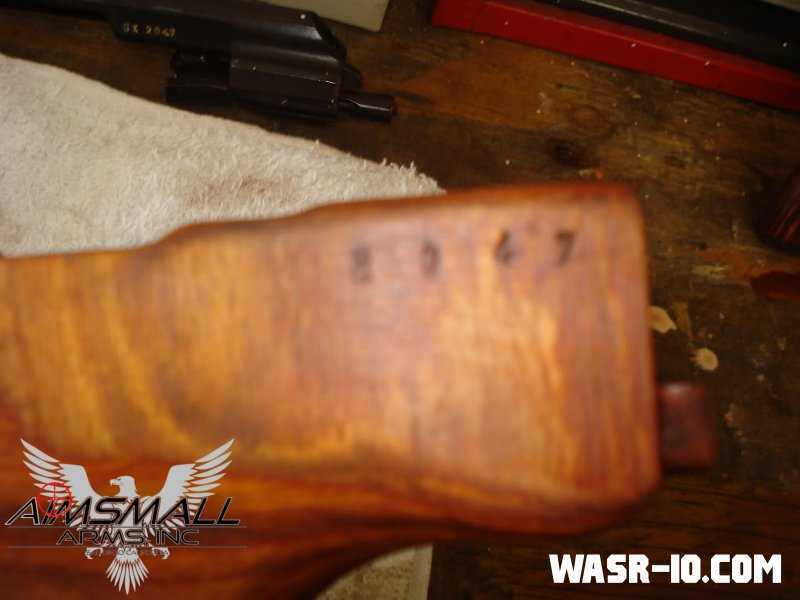 If you AK-47 furniture has matching serial numbers (never seen a WASR-10 with serialized woodwork) you'll want to preserve those and be very careful around them while sanding, or tape over them with painters tape. It is ok to sand over them a little but just be very gentle and only use the finest sandpaper you intend to use on the rest of the wood. If done right the numbers are actually easier to see/read after the refinishing process. 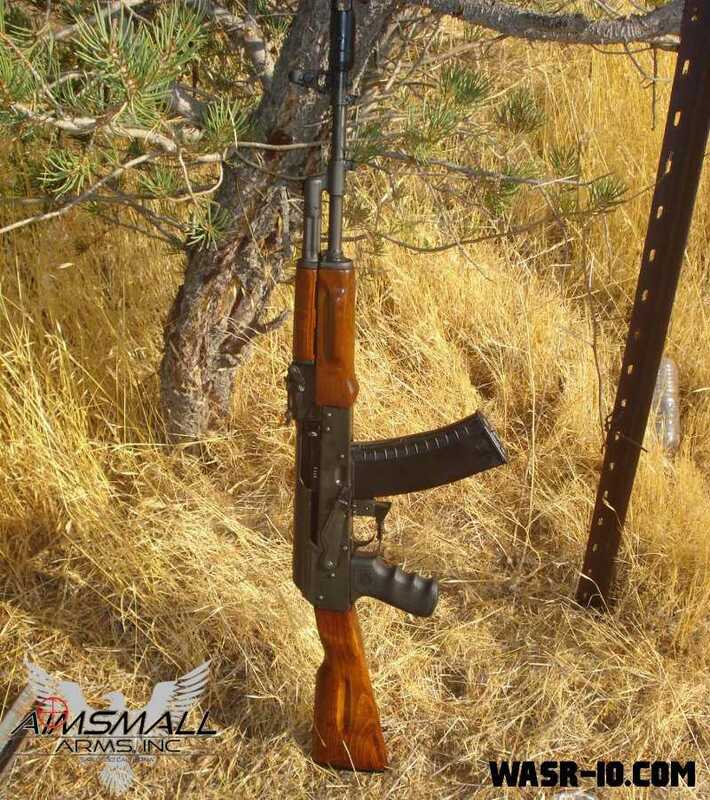 Figure 33: AIMSMALL's AK had all matching serial numbers. 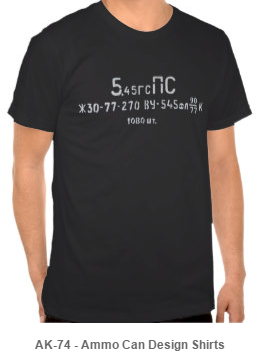 Fat chance you WASR-10 will have that:). 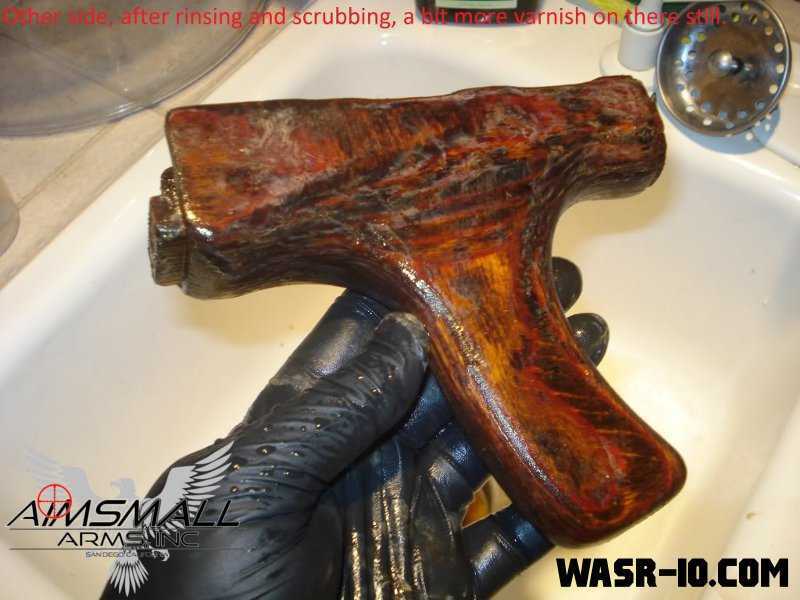 AIMSMALL did 5 coats to get it to the color he wanted. For the wipe on poly it went like this: Wipe the first coat on with a t-shirt strip wait at least 3 hours. 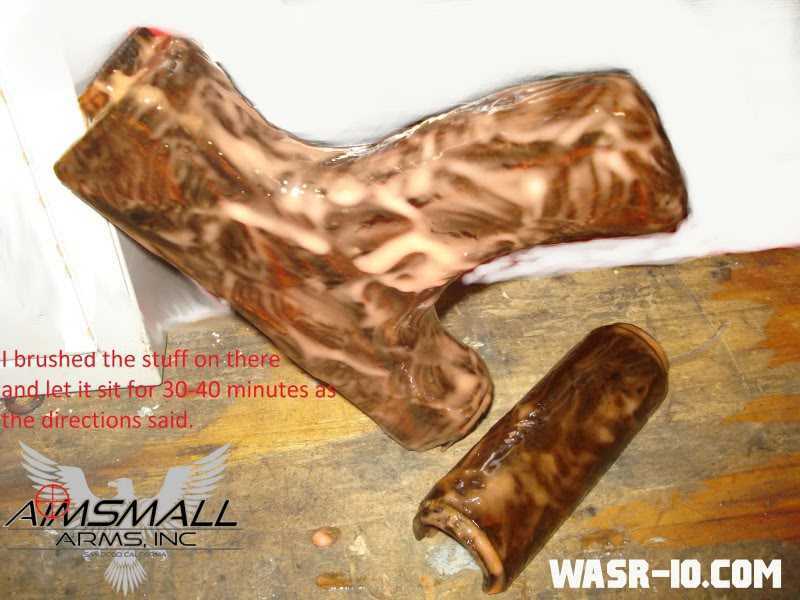 Figure 34: Wipe on the clear coat. 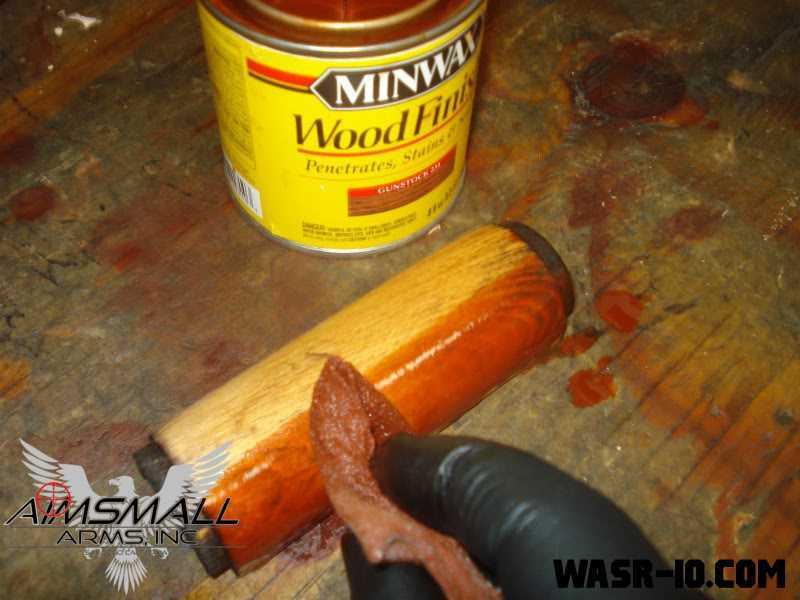 AIMSMALL used Minwax "Wipe on Poly". Figure 35: Let the coat dry before going to the next step. Figure 36: Apply a nice thick wet coat of poly. Figure 37: After each coat of clear is completely dry, sand entire stock with 0000 steel wool. Notice the dull finish after the dried poly has been sanded. Next blow off with air and wipe down with clean t-shirt strip then apply another coat of wipe on poly. 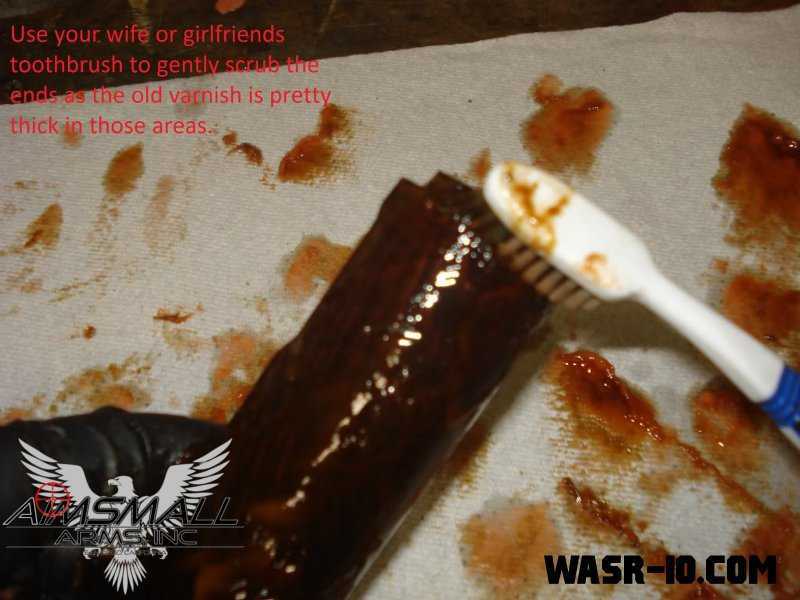 AIMSMALL did 5 coats and scroll down to see how nice his project turned out! Figure 38: Time for a recap: This is how you'll start out. 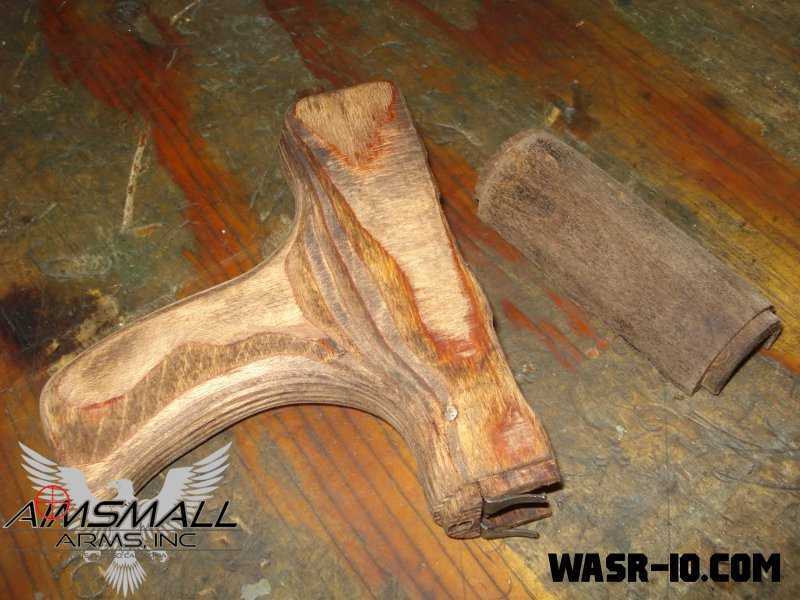 Figure 39: This is what your AK upper and lower hand guard will look like after sanding. 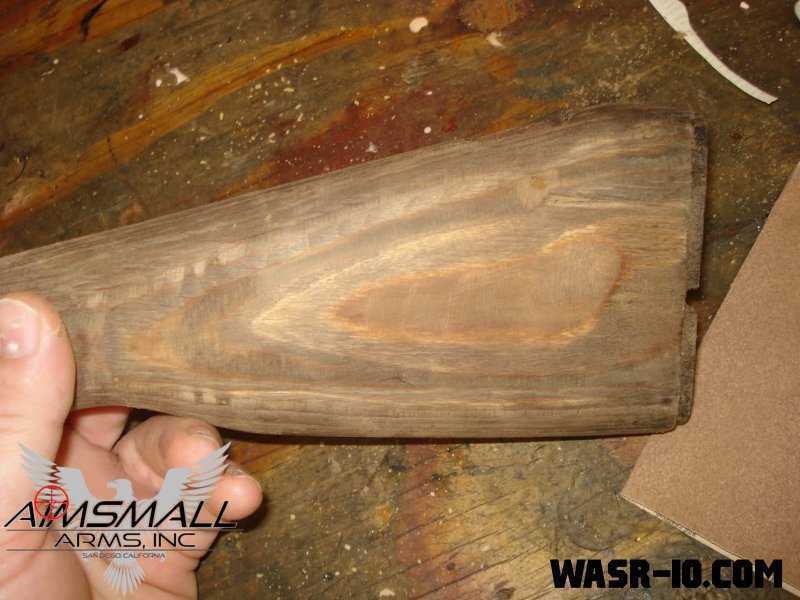 Figure 40: Your AK stock after sanding (as you can tell from the groove this is an AK-74 stock. 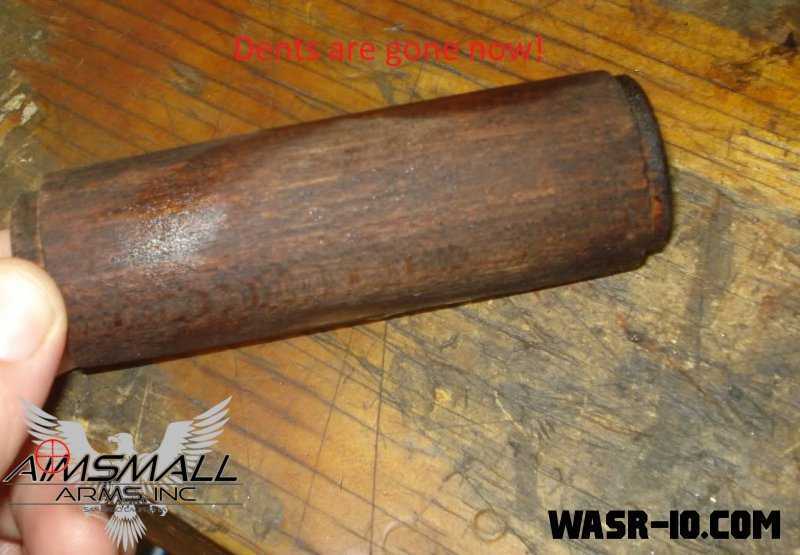 Figure 41: And this is what the refinished AK fore end looks like after finishing. 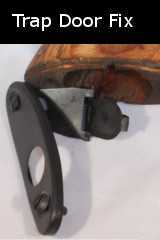 Figure 42: And the refinished stock before remounting the hardware. Figure 43: And this is the whole AK-74 after refinishing and reassembly! Wow! Below some pictures of my first time using Tung oil; this is after 4 coats. The process is a little more tedious then the "wipe on poly" in my opinion and I think I like the way the poly looks a little better too. 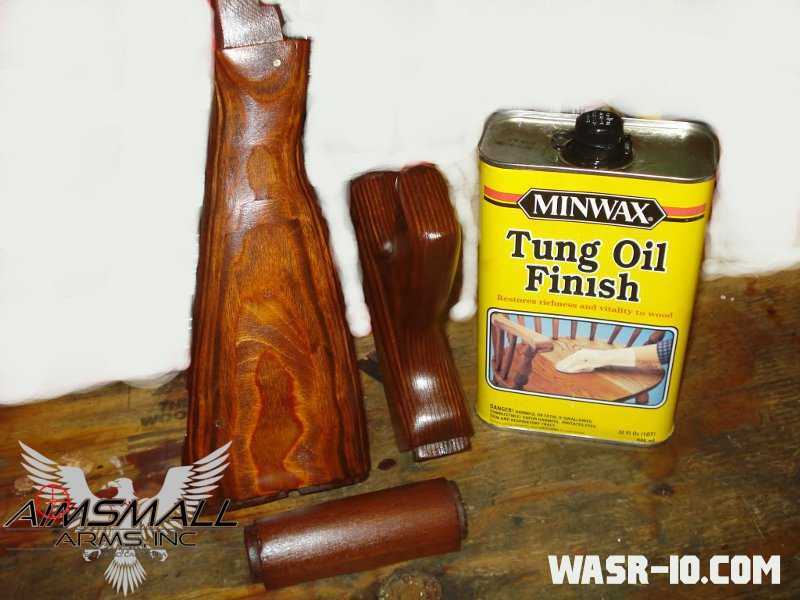 For the Tung oil you do everything the same up until the staining is all done then you wipe it on and wait 5-15 minutes before buffing it off with a clean strip of an old t-shirt. I found that the tung oil would get very tacky after 6 or 7 minutes making it really hard to buff off so I immediately added a fresh coat of tung oil and then buffed it right away. That made buffing easy and worked very well. Figure 44: Tung Oil results after 4 coats. The thing I liked better about the process for the poly was that you just wipe it on and let it dry, no buffing off wet sticky oil. 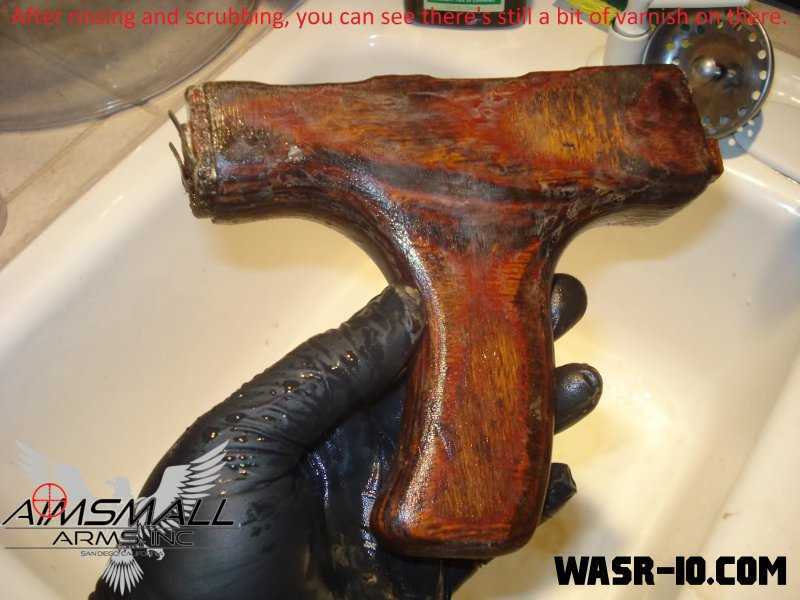 The trade off is that you will need to buff the dry poly coats with steel wool before each additional coat can be applied, with the Tung oil you just add another coat. The poly process seemed to be easier overall because I was able to work for a few minutes then walk away and come back to it whenever I wanted. 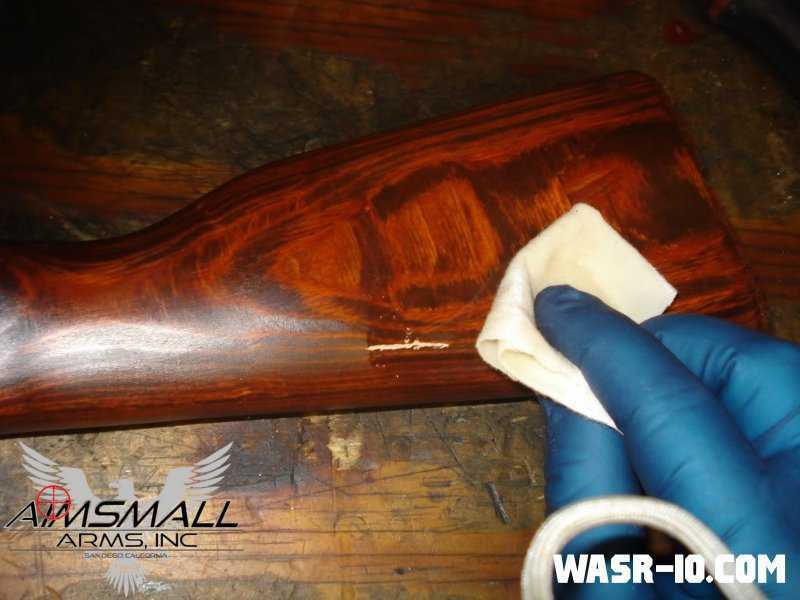 With the Tung oil you have to commit to the time it takes to get through first coating the AK furniture, then waiting 5-15 minutes, then re-coat to break the stickiness, then buff. 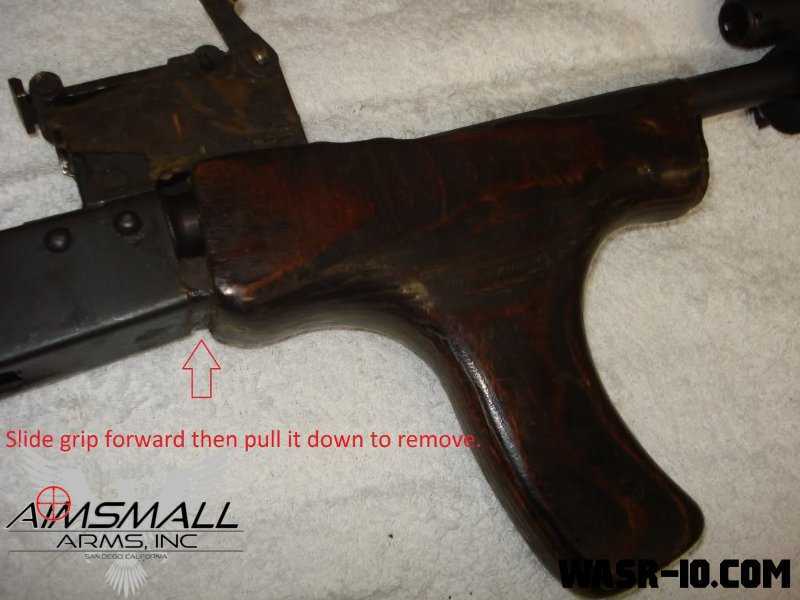 As mentioned above, all the material and photo's in this article were created by AIMSMALL, and originally posted as a "how to refinish the AK Stock" tutorial on the CalGuns forum. 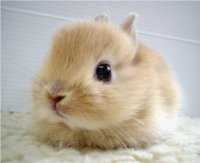 The original forum post by AIMSMALL on which this article is based can be found here.